I saw quite a few wide legged palazzo pants for fall, but with the pace of fashion constantly speeding up you might as well start buying now!! 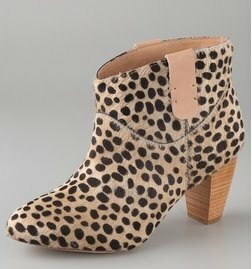 This pair comes in black and grey at Free People for $88 and looks so comfy!! 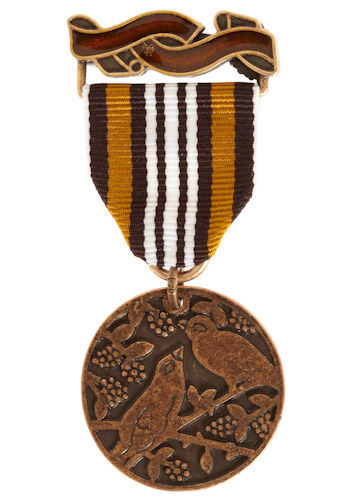 I've had my eye on this brooch for a good long while, but have yet to pull the trigger! So I'm posting it in the hopes that my fear it will sell out will motivate me! Buy at ModCloth for just $17. As a Lucky Alpha Shopper, sometimes I get neato presents, like these wedge heels by Baby Phat! They're extremely cute, and perfect for a winter to spring transition outfit! I've been working on NOT relying on color lately. Now that I've finally up-ed my outfit game I find it's actually much harder to wear neutral pieces. 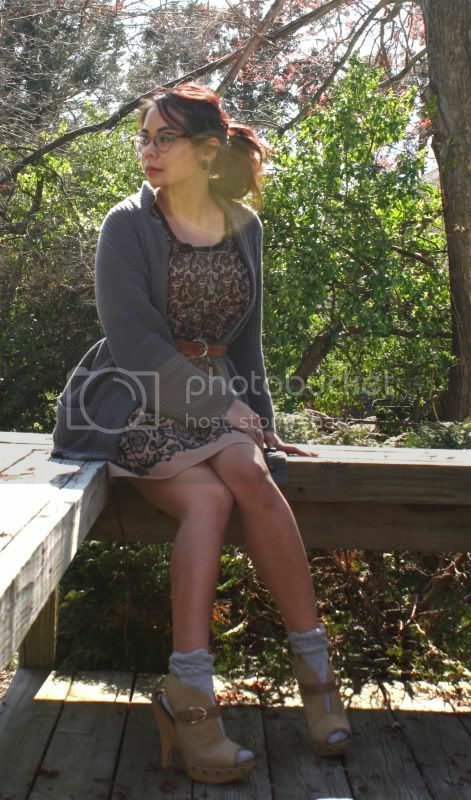 Especially since there was so many tonal color palettes for spring, I wanted to create an outfit inspired by that. The heels themselves are tres cute, comfy enough for the office to happy hour. Besides how I styled them, you could easily wear them with jeans and a tee for a casual look or with a swingy sundress for a garden wedding during the day. And, to be honest, they're a much better quality than I expected! I probably would have guessed they were Nine West or the like - well done Baby Phat! I'm wearing: Wedge heels courtesy of Baby Phat, Rodarte for Target lace print dress, chunky knit cardigan courtesy of Land's End Canvas, arrowhead necklace and ruched ankle sock from Urban Outfitters, Oliver People glasses, turquoise ring a present from a friend back in high school, bracelet made by Sarah, earrings and Eddie Bauer belt stolen from my mom! 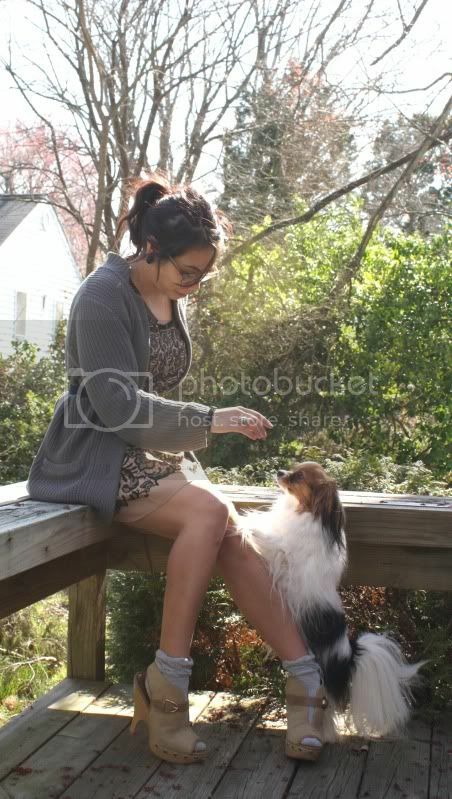 Awww, Kyoko wanted to be in the photoshoot! Really she just wanted some attention - such a needy dog! 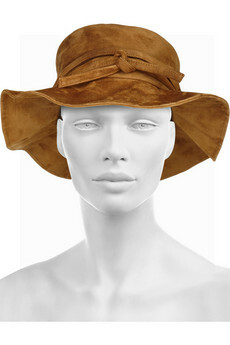 I was just thinking about how I don't have many hats to wear during the warmer months when this safari one by Etro caught my eye! 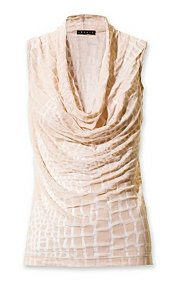 I am in total love, but there's no way I can ever afford the $440 price tag at Net-A-Porter... le sigh. The quest for something similar starts now!!! I was recently speaking to a colleague about shopping and fashion. As a working mom of two (update: I'm not the working mom, my colleague is :P), I realized that it's quite easy for me to forget how different other people's fashion needs are. Some people need easy to wear clothing, sensible shoes and the ability to machine wash - all things I rarely consider when shopping, much less seek out! So what should the moms look for this summer? I recommend classic separates paired with super chic accessories! I tried to create three outfits here, with all the pieces somewhat interchangeable! And don't forget that even wardrobe base pieces can be in style - be on the look out for maxi skirts and dresses, chambray button downs, and full mid-length skirts. 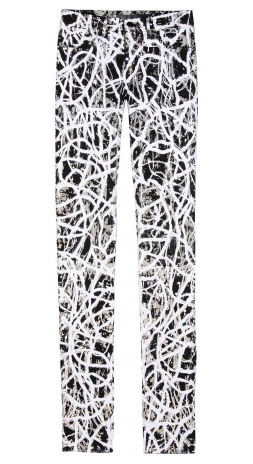 A pair of flared jeans is tres chic right now and super flattering! 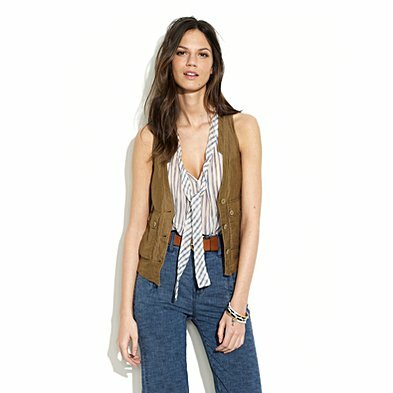 Worn with a striped tee and drapey cardigan, you look cute, comfy and casual, but not exactly stand out. So throw on a fab necklace, a roomy but super cute sling tote, some platform sandals with a walkable heel! You don't need to wear a leopard print skirt and polka dot blouse paired with stilettos to look stylish - in fact you may look a little silly trying to chase a toddler around the playground in that. It's amazing how the little things can help take your outfit to a put together look that's subtle yet fashionable. So subscribe to the Vyque plan of putting one accessory ON before leaving the house! And none of this pearl studs and a thin gold chain - you need statement pieces in order to make a statement! Once all the other moms start asking you where you got your earrings, you'll find you won't be able to stop! Links à la Mode Tech: It's Time for a Fashion & Tech Evolution Revolution! It's Time for a Fashion & Tech Evolution Revolution! I can't say fashion has been on the forefront of these advances. In fact, until Jennine brought together IFB I didn't have any friends who could edit HTML and discuss whether Pre-Fall was better than Resort. But now we have a group of like-minded women (and men) who can not only do just that, but actually help the evolution of the fashion and technology relationship and bring it to the masses! So rise up with me and let's start a revolution! Divas & Dorks: Is It Possible for Your Smartphone to Control Your Car? 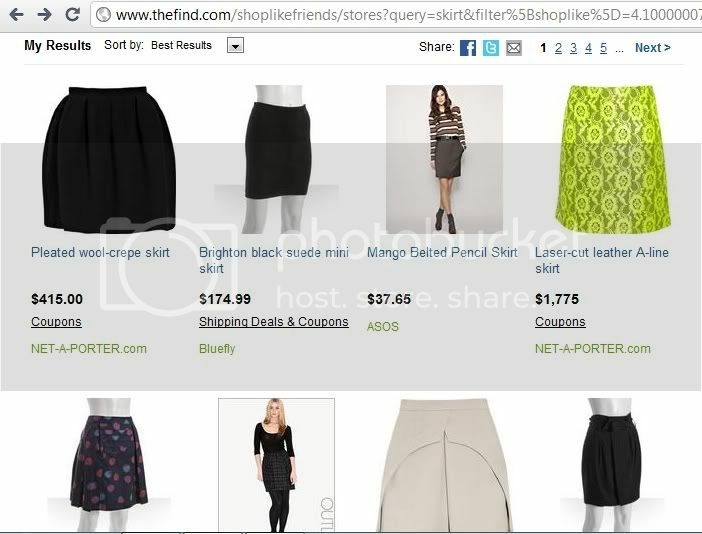 The Taxonomy of my Wardrobe: Scraper Blogs Infringing Your Copyright - Warning Your Blog Might Be Next! 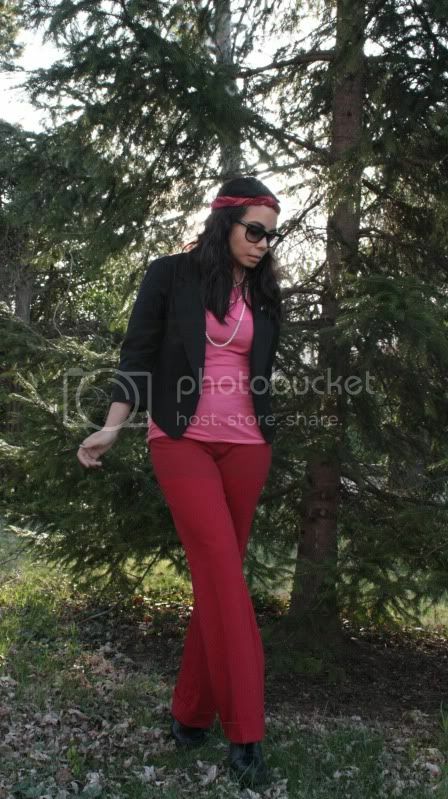 Since everyone has been rocking red pants of late, I decided to bust out my pair and put together a look as well! 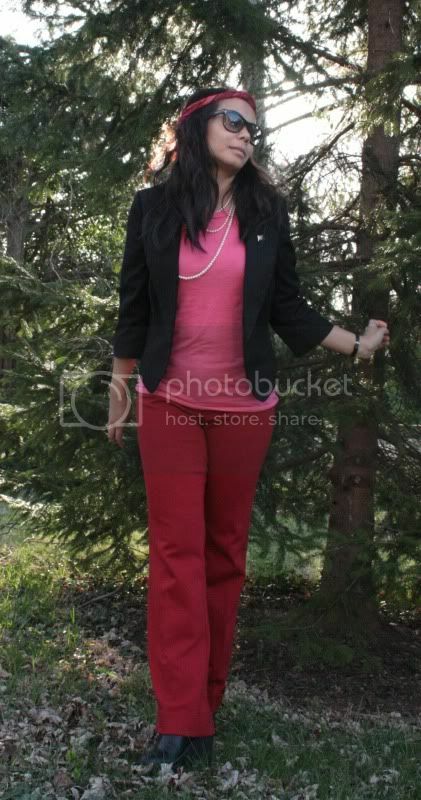 Really I just wanted to be added to Wendy B's round up of bloggers in red pants! I've also been wanting to pair red and a salmon pink, so it all turned out perfectly! I was being a bit wussy, so I paired the top and pants with black shoes and a blazer. I don't think it looks bad, but if I had mad personal style blogger skillz I probably would have rocked a turquoise sweater or my leopard print cardigan. At least I attempted to turn one of my scarfs into a turban headband, though it was obviously too small to truly pull off the look. Note to self: Buy slightly larger scarves!! 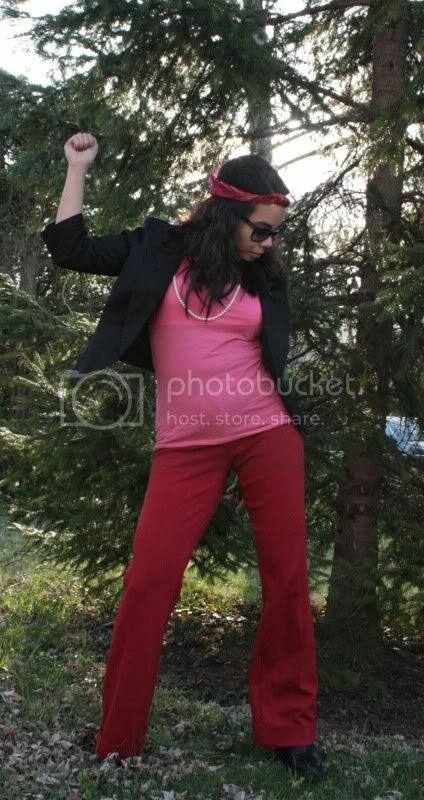 I'm wearing: Red pants I think by BCBG, I had them taken in and there's no more tag, salmon pink tank by Rachel Rachel Roy, black Lux blazer from Urban Outfitters, boots by Robert Clergerie, Tom Ford sunglasses, vintage Gucci watch, pearls from my aunts in the Philippines, vintage scarf. Bandage dresses and even skirts are kinda done in my mind, but a bandage bikini feels pretty fresh! Buy this one at Victoria's Secret the top is $66 and the bottom $64. I love this giraffe burnout print, particularly the blush pink color!! 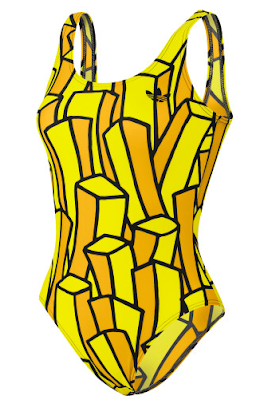 I bet it would look killer paired with some skinny white pants and flatform sandals! Buy at Theory for $120. I've been a little stuck on buying myself a new leather jacket lately, as mine are just a little too big and I am a little wary on finding a place to take them in. S I've been browsing around and this MICHAEL Michael Kors one in an amazing blue steel color caught my eye immediately! Originally retailing for $500, it's $298 at Bluefly, alas, still too much for me! 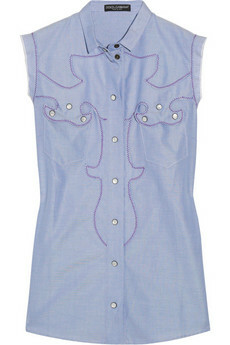 With Western style coming into fashion for fall, this Dolce & Gabbana top is a sure-fire way to look chic! 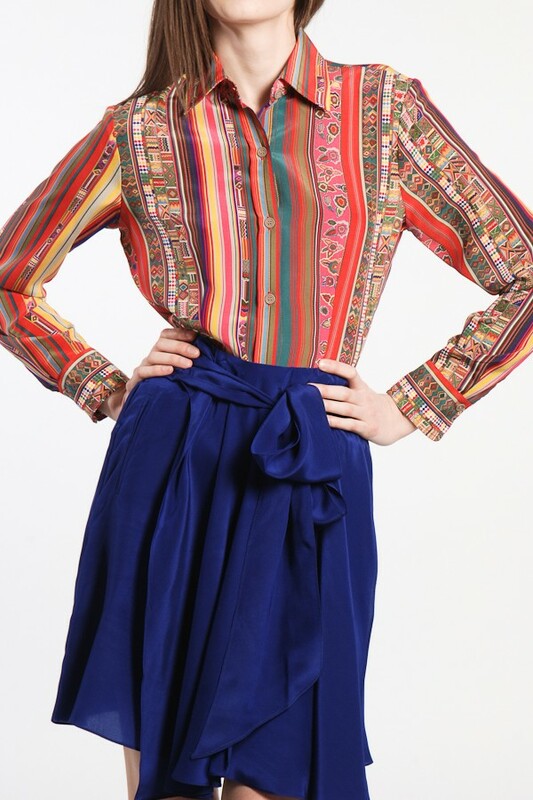 Even better if you pair it with some gaucho pants or more denim! 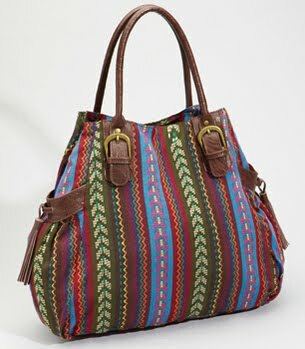 Buy at theOutnet.com, originally a whopping $909, but now a more reasonable (in comparison) $318. Have you ever been browsing for clothes and accessories online and wished the search would just read your mind and know you would never in a million years wear an argyle sweater set! Well, I just discovered Shop Like, a feature of The Find that shows you items based on your liking preferences on Facebook! The Find has been around for a bit, but I didn't really pay it much attention until I noticed it sponsoring the IFB Evolving Influence Conference! At the recent one they even showed me the upcoming visual search option, something I'm excitedly anticipating! But until that comes out I will amuse myself with Shop Like. At first I was a little unimpressed with the idea, but honestly it's nice to have a place where your favorite stores and brands are saved and you can browse them all at once! I can't tell you how many times I've looked for something on ShopStyle and ran through unchecking stores so I could only search at a handful of places. 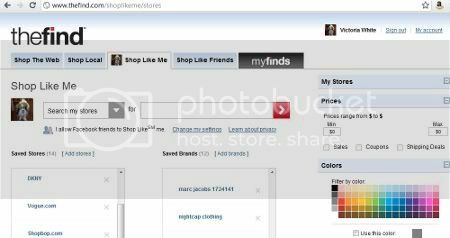 Another cool feature is that you can also shop according to the brands and stores your Facebook friends like! I would take a screengrab of this, but it shows every's first and last names and I'm way to lazy to blur that! But I can show you what skirts miss Midtown Girl would possibly want to wear! Now I can steal her style, mwahahaha. Finally, it's very interesting to see that they have a few featured shoppers! 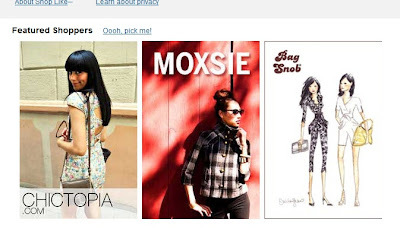 Now you can search through stores and brands preferred by Chictopia, Moxsie and Bag Snob! And it looks like they're searching for others - think they accept nominations? And sure, I'm definitely getting some Boutiques.com flashbacks, a site I haven't even looked at since I reviewed it. The search results are kinda meh and uninnovative. But the fact that you can log in using your Facebook account is nice, aren't you sick of creating hundreds of accounts all over? And it also uses "likes" you already created, so you're already good to go! Have you tried Shop Like? What did you think? A unique statement ring is an easy way to add a little punch to an outfit! 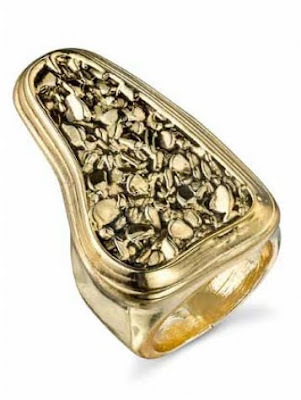 This one is nice and blingy but very affordable too! 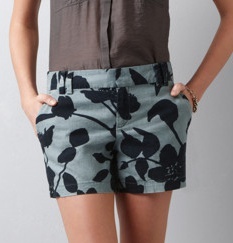 Buy at Envious Boutique for $25. If there was any way at all I could justify the $270 price tag of this Maison Michel rain hood with bear ears, you know I would already own it!! It's just so adorable, and when you add that cuteness factor in with the hilariousness of the unfashionable rain hood, well, it's hard to resist! Buy at Kirna Zabete! Get 20% off all swimsuits and accessories at South Moon Under until 3/27 with the code "SWIM20" at checkout! As I've mentioned before, Payless has been kind enough to send me some shoes from their spring collections! Yesterday I rocked a pair of wedges with an amazing woven heel - the Bolivar Wedge by Lela Rose for Payless! 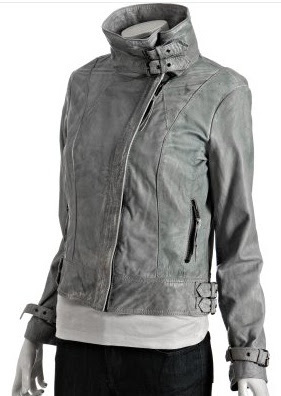 Tons of style for just $50, don't you think? I decided it would be fun to pair the shoes with a printed summery dress - kind of a subtle way to mix prints, don't you think? I topped off my outfit with a sheer cardigan, bright scarf and my birthday present from the Mr - a super cute purple satchel that just screams spring to me! I'm wearing: Lela Rose for Payless wedges courtesy of Payless, H&M dress courtesy the Lucky Magazine Alpha Shopper program, sheerish cardigan from Yes Style, BP scarf from Nordstrom, purse from the Cambridge Satchel Company, belt by Marc Jacobs. Can you believe every item in this outfit is less than $125? In fact, I think only the purse costs more than $75 - proof that you can be chic in every price range! Well, I guess the belt would probably cost more, it came with a pricy dress so it's hard to guess its value. Just to let you all know, I know places like ModCloth and Urban Outfitters sell Cambridge Satchels, but the Mr got mine straight from their site so we could get the smaller 11" size. I think it's perfect for an every day purse! Here's a close up of the amazing print woven into the wedge heel. These shoes are so cute and I got loads of compliments! 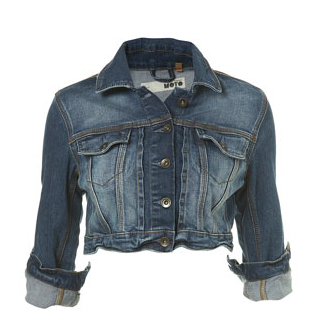 Denim jackets are perfect for spring, especially this year! I love how they look layered over floral sundresses, but this one would also look great with a basic tank and some jeans (that's right, denim on denim isn't dead!). Buy at TopShop for a not-too-pricy $80. 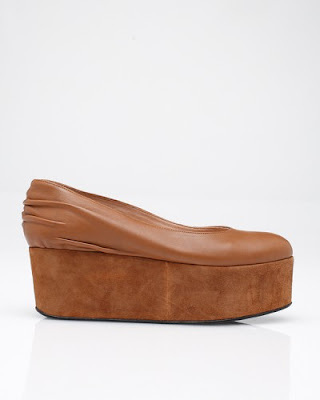 Now these are true flatforms! You can pre-order these Won Hundred shoes from Need Supply for $270, unfortunatley black only has size 10 left but the brown has sizes 7 to 10 still available! 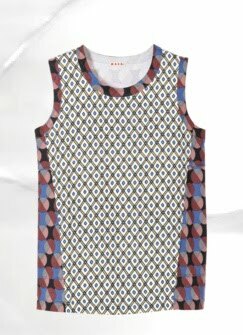 There's something eye-catching about this semi-sheer tank, it has a vintage, flapper-esque feel to it. Buy at Pixie Market for $124. I really love the antique gold and grey rhinestones together - gives off a very vintage vibe, don't you think? 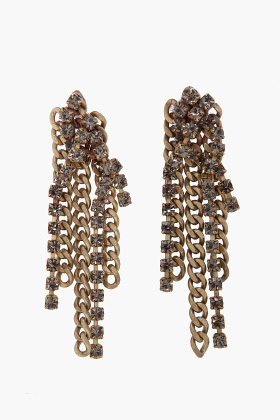 Buy the Fallon earrings at Ssense for $150 and tell everyone they were your great grandmother's!